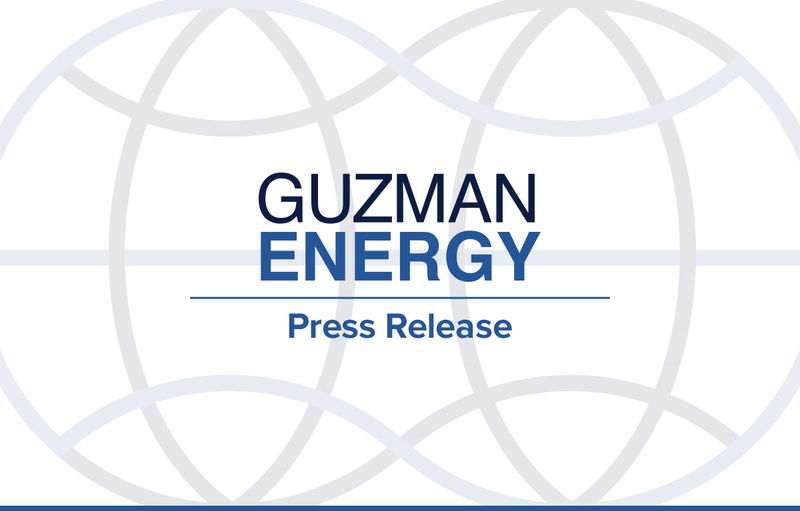 DENVER—Guzman Energy Group (“Guzman Energy”)—a full-service energy company whose services include providing wholesale power, energy trading and hedging services—announced today that it has secured $130 million in additional liquidity to continue to expand its efforts to deliver cheaper and greener energy to consumers in the West and beyond. Experienced energy investors Vision Ridge Partners and ZOMA Capital are providing the capital. The energy landscape in the United States is rapidly evolving to a renewable, distributed future. Guzman Energy is playing a leading role in bringing this future forward in the bilateral markets of the West, while at the same time significantly lowering prices, particularly in rural communities. In aggregate, both new investors will hold a minority interest in Guzman Energy, and representatives from Vision Ridge and ZOMA will join the Guzman Energy Board of Directors. In February 2017, Guzman Energy shook up the energy status quo by announcing a partnership with Kit Carson Electric Cooperative (KCEC) to enable the northern New Mexico counties of Taos, Colfax and Rio Arriba to achieve summer solar energy independence by 2022. In addition to generating renewable energy to cover 100 percent of the summer daytime load—saving 30,000 co-op members $50 million to $70 million in the next 10 years—Guzman Energy seeks to foster competitiveness and spur greater opportunity in the communities they serve. Guzman Energy is a wholesale energy company that supplies and trades power across North America. We are a new kind of power company—one that customizes energy solutions via trading expertise and sophisticated quantitative modeling. We enable customers—principally rural electric cooperatives and municipal power companies—to achieve lower rates and price-stability from renewable, sustainable energy. Headquartered in Coral Gables, Fla., and Denver, Colo., Guzman Energy has unique expertise in serving customers in the bilateral power markets of the Western United States and conducts its business through two practice areas: Energy & Environmental Trading and Energy Hedging & Risk Management. To learn more, visit www.GuzmanEnergy.com. ZOMA Capital invests in a broad range of market-based sustainable solutions advancing energy, water and regional economic resiliency in Chile and Colorado. Its global investment portfolio spans multiple asset classes and sectors with an emphasis on addressing environmental and social challenges. To learn more, visit https://ZOMAlab.com/ZOMA-capital/. Vision Ridge Partners is a private equity firm, investing in sustainable real assets and asset-backed opportunities. Vision Ridge specializes in opportunities that generate strong financial returns in fundamentally impactful sectors, including renewable power, agriculture, water, waste-to-energy, transportation, energy efficiency and land. The firm was founded in 2008 and is based in Boulder, Colo., with an additional office in New York, New York.